The 2nd annual Kansas Opioid Conference is currently accepting proposals online through July 31, 2018. The annual conference will take place on November 15th, 2018 at the Topeka Capital Plaza Hotel and Convention Center, registration will open August 15, 2018. The conference is a proactive effort to build a collaborative response to the opioid crisis in Kansas. DCCCA and the Kansas Department for Aging and Disability Services, along with the Kansas Prescription Drug and Opioid Advisory Committee presents the conference. DCCCA is committed to addressing current topics and issues throughout the conference. Proposals are requested for workshops that emphasize knowledge-sharing, skills-building, practical application and audience participation. Sessions should focus on emerging trends, build skills and knowledge, and advocate for best practices to address the prescription drug and opioid crisis across disciplines. 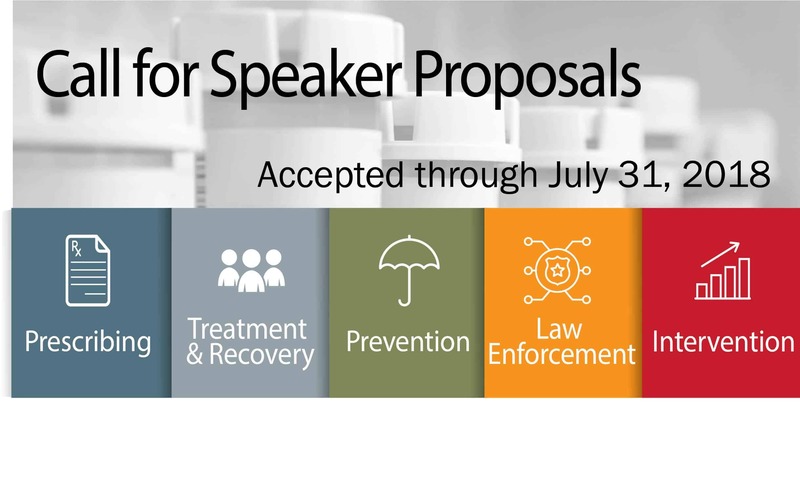 Proposals should fit into one of the following topic areas: prevention, provider education, prescribing, pain management, treatment, recovery, neonatal abstinence syndrome, or law enforcement. Note: presenters may submit proposals on other topics; however, they must relate to prescription drug and/or opioid misuse prevention. Because of the nature of the internet and the type of server, you may be timed out after two hours, even if you are still active in the application. Therefore it is recommended that proposals be written in a word document first then cut and pasted into the online application. Don’t worry if the application doesn’t format correctly. Once you begin the application you must finish it completely or it will be lost. It is not possible to close and save an incomplete proposal. Presentation title may be no more than 100 characters long. This will be used in all promotional materials. Please pick a title that correctly describes your presentation. Proposals should be one page in length, 500 words or less, and describe your presentation. Provide the presentation’s education objectives (for CEUs). Include an abbreviated description of your workshop (50 words or less) to be used in the conference program. Please be sure this provides an accurate description of what will be covered during your presentation. An abbreviated resume/CV for the primary presenter and any co-presenters. A brief, one paragraph biography for the primary presenter. Indicate any audio-visual equipment that you will need for your presentation. Identify the appropriate audience level, length of presentation, and audience type when submitting the form online as well as including the name and contact information for all presenters. Jenn Hethcoat is the Director of Communication at DCCCA.